Black Dining ChairsBelow are all of the Black dining chairs from our full selection of seating. 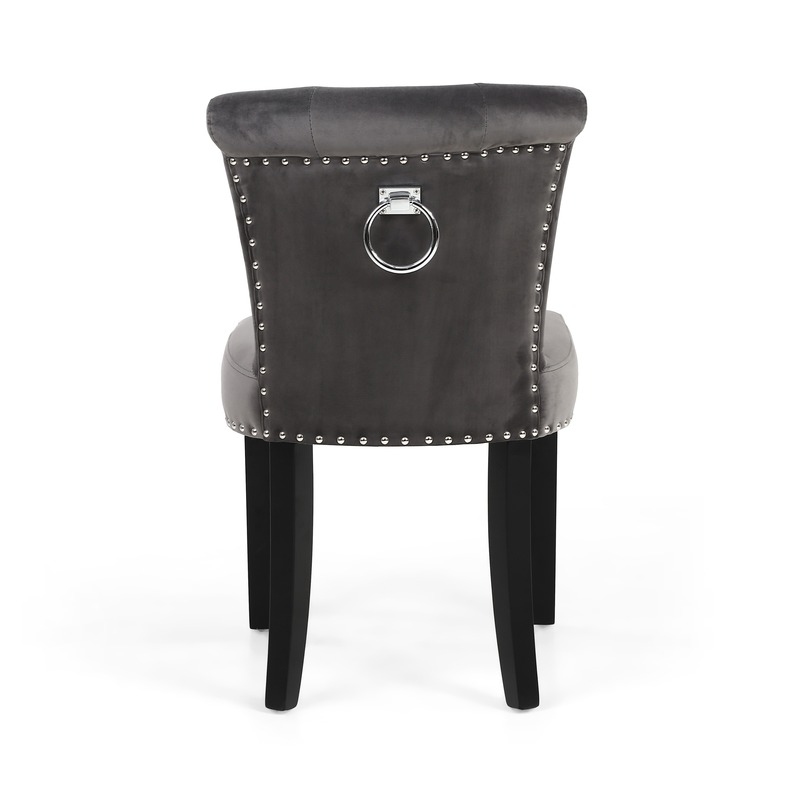 All of the Black dining chairs are chosen from our Fabric, Leather, and Wood catalogues. If you need any help regarding any of our Black Dining chairs feel free to contact one of our team. 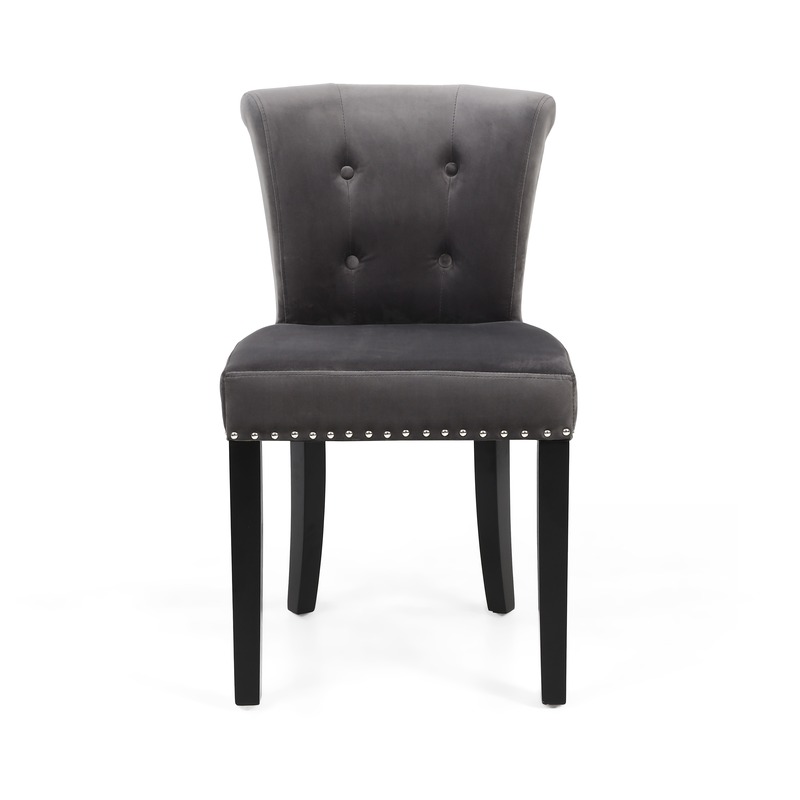 All of our Black Dining chairs come with a quality Guarantee and are delivered free of charge Nationwide. Beige & BrownBelow are all of the Brown & Beige dining chairs from our full selection of seating. All of the Brown & Beige dining chairs are chosen from our Fabric, Leather, and Wood catalogues. If you need any help regarding any of our Dining chairs feel free to contact one of our team. All of our Dining chairs come with a quality Guarantee and are delivered free of charge Nationwide. Blue Dining ChairsBelow are all of the Blue dining chairs from our full selection of seating. All of the Blue and Duck egg blue dining chairs are chosen from our Fabric, Leather, and Wood catalogues. If you need any help regarding any of our Dining chairs feel free to contact one of our team. All of our Blue Dining chairs come with a quality Guarantee and are delivered free of charge Nationwide. Floral DesignsBelow are all of the Floral dining chairs from our full selection of seating. All of the Floral dining chairs are chosen from our Fabric, Leather, and Wood catalogues. If you need any help regarding any of our Dining chairs feel free to contact one of our team. All of our Floral Dining chairs come with a quality Guarantee and are delivered free of charge Nationwide. Green Dining ChairsBelow are all of the Green dining chairs from our full selection of seating. All of the Green dining chairs are chosen from our Fabric, Leather, and Wood catalogues. If you need any help regarding any of our Dining chairs feel free to contact one of our team. All of our Green Dining chairs come with a quality Guarantee and are delivered free of charge Nationwide. Natural & NeutralBelow are all of the Cream & Neutral dining chairs from our full selection of seating. All of the Cream & Neutral colour dining chairs are chosen from our Fabric, Leather, and Wood catalogues. If you need any help regarding any of our Black Dining chairs feel free to contact one of our team. All of our Dining chairs come with a quality Guarantee and are delivered free of charge Nationwide. Purple dining chairsBelow are all of the Purple and Aubergine dining chairs from our full selection of seating. All of the Purple dining chairs are chosen from our Fabric, Leather, and Wood catalogues. If you need any help regarding any of our Dining chairs feel free to contact one of our team. All of our Purple Dining chairs come with a quality Guarantee and are delivered free of charge Nationwide. Red Dining ChairsBelow are all of the Red and Burgundy dining chairs from our full selection of seating. All of the Red dining chairs are chosen from our Fabric, Leather, and Wood catalogues. If you need any help regarding any of our Dining chairs feel free to contact one of our team. All of our Red and Burgundy Dining chairs come with a quality Guarantee and are delivered free of charge Nationwide. Silver & GreyBelow are all of the Grey fabric and Silver Velvet dining chairs from our full selection of seating. 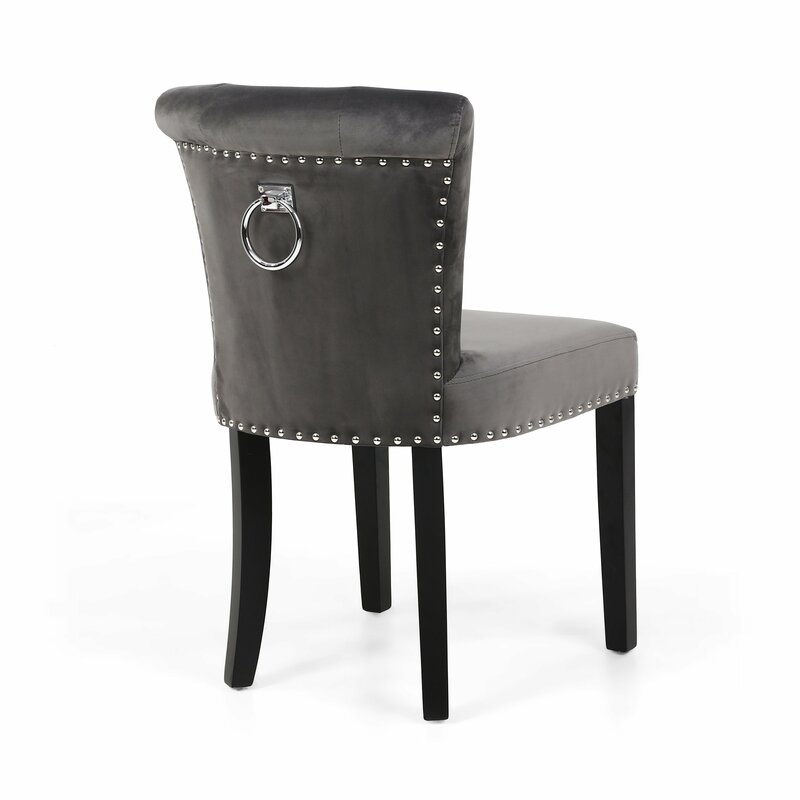 All of the Silver and Grey dining chairs are chosen from our Fabric, Leather, and Wood catalogues. If you need any help regarding any of our Dining chairs feel free to contact one of our team. All of our Silver velvet and Grey Fabric Dining chairs come with a quality Guarantee and are delivered free of charge Nationwide. Stripe & Check DesignsBelow are all of the Stripe, Check & Tartan dining chairs from our full selection of seating. All of the stripe, checked and Tartan dining chairs are chosen from our Fabric, Leather, and Wood catalogues. If you need any help regarding any of our Dining chairs feel free to contact one of our team. All of our Striped, Check and Tartan Dining chairs come with a quality Guarantee and are delivered free of charge Nationwide. Yellow & OrangeBelow are all of the Yellow & Orange dining chairs from our full selection of seating. All of the Yellow & Orange dining chairs are chosen from our Fabric, Leather, and Wood catalogues. 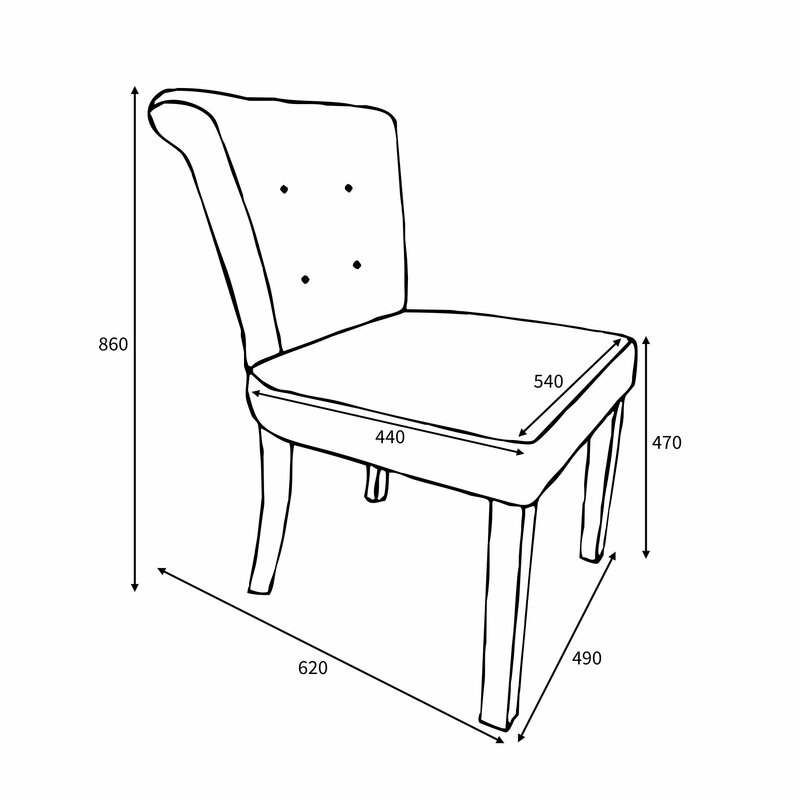 If you need any help regarding any of our Dining chairs feel free to contact one of our team. All of our Yellow and Orange Dining chairs come with a quality Guarantee and are delivered free of charge Nationwide. All Modern Dining ChairsOur Modern and Contemporary design dining chairs included the latest styles and fabrics using on trend fabrics and styles. As well as fabric options there are also bentwood designs and leather options to choose from. All of the Modern style chairs are chosen for their contemporary looks and durability. All of the dining chairs come with our quality guarantee and come with free nationwide delivery. Chaise & OttomansOur Chaise and Ottoman collection has some very stylish and practical seating and storage solutions, all in very attractive designs and upholstery. The Chaise seating is available in some very popular fabrics such as Crushed velvet, Brushed velvet and linen. All manufactured to high standards. The fabrics are chosen for their durability and style, with the ranges using the latest on trend fabrics. All of our seating comes with a quality guarantee and everything is delivered free of charge nationwide. Tub ChairsOur Tub Chair and Accent chair collection has some very stylish designs, all in very attractive styles and upholstery. The Tub chair seating is available in some very popular fabrics such as Crushed velvet, floral velvet, striped, Baroque floral design and linen. All manufactured to high standards. The fabrics are chosen for their durability and style, with the ranges using the latest on trend fabrics. All of our seating comes with a quality guarantee and everything is delivered free of charge nationwide. All Bar StoolsOur Bar stool collection has some of the latest design of bar stools in modern and contemporary designs. Our selection are chosen from on trend designs and fabric upholstery. all of the Bar stools come with our quality guarantee and are delivered free of charge nationwide. if you need any help or advice with our Bar Stool collection feel free to contact one of our team. Dining TablesOur Extending Dining tables and Fixed top tables are all Manufactured to very high standards and delivered free of charge All of our dining tables are carefully chosen for character, strength, durability and aesthetics. The Oak Dining tables are chosen to suit all of our oak dining chairs, and fabric and leather chairs with the oak leg option. Likewise with the Walnut tables, they will suit any of the dining chair ranges with the Walnut leg option. 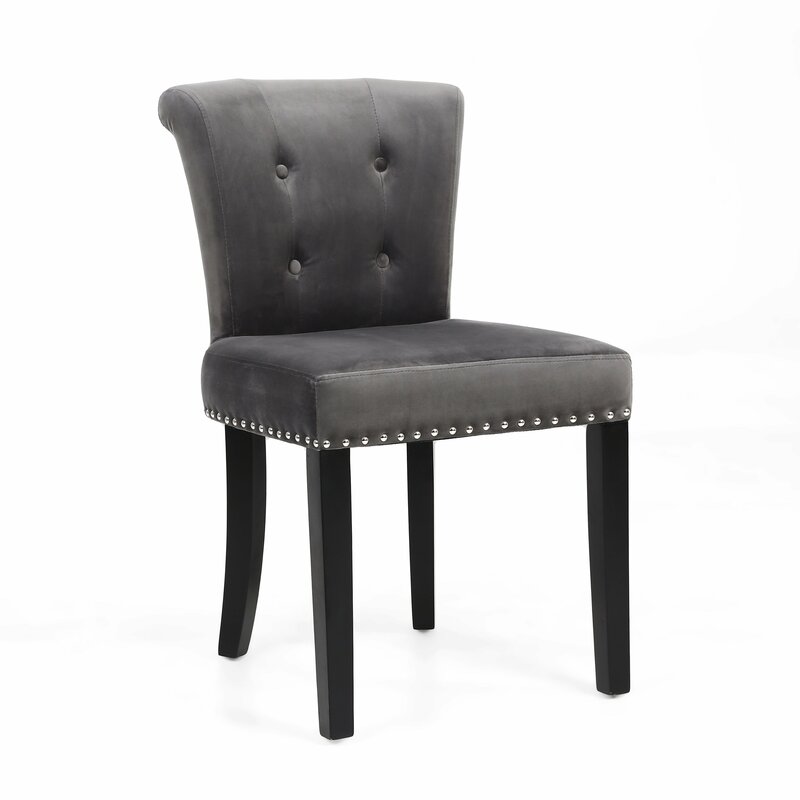 The Sandringham Brushed Grey velvet dining chair is a great looking luxury dining chair in a classic roll back design. The dining chair is Upholstered using thick and durable Brushed Grey Velvet material. 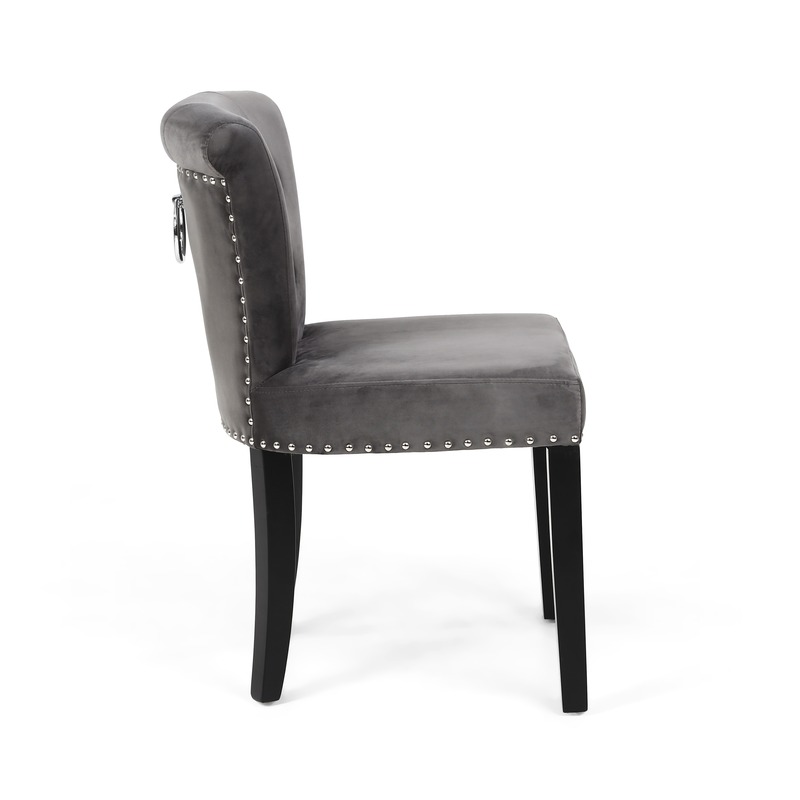 The Sandringham dining chair is finished with hand laid stud work around the edges, and a matching chrome pull handle on the back of the chair. Its painted black curved solid hardwood legs complete the sleek and classy look. Overall a very stylish and durable dining chair that looks great in a traditional or contemporary setting. Please include you name and address – and let us know which Fabric Samples you would like, and we’ll get them out to you in the post 1st class. At Capital We are confident that you will love your new Furniture so much, we always offer all of our deliveries free of Charge with a free no fuss returns policy, and also a full money back Guarantee if you find any of the furniture not up to standard. All deliveries are pre-booked at a convenient time by telephone prior to dispatch. When the goods are ready to be shipped, we will contact you to let you know that your order is ready and to book in your delivery on a convenient date. All of the up to date delivery times for each piece of furniture are clearly displayed on the product page below the price. Stock Deliveries are normally completed within 2-3 working days. Our Dining Chair orders are delivered using a dedicated national Carrier, and a two man delivery service is used for heavier items such as dining tables, Sofas & Armchairs. For any deliveries to the Channel islands, Scottish Highlands or Northern Ireland, additional charges Will apply, please call for prices and availability as not all items can be shipped to these areas. At Capital quality is paramount and we need you to be happy, so In the unlikely event you are not fully satisfied with the quality of your new furniture, Returns & Exchanges are also completely free of charge. If any items arrive faulty or damaged Just let us know within 7 days of your delivery and make sure the items are unused, have not been assembled in any way, and back in the original packaging for a free exchange or full refund. Just give one of our team a quick call on 0800 599 9795 and we will give you all the help you need to get it sorted out quickly. At Capital we understand that getting your home decor exactly how you want it is important, So if you want to return or exchange your new furniture simply because you have changed your mind ,we are happy to help. Just let us know within 7 days of receiving your new furniture, (make sure its not been used, hasn’t been assembled in anyway, and back in the original packaging), and we can arrange the collection or exchange for you. The Collection charge is £25 regardless of the size of your order. The Kingston Silver Grey and Walnut Floral Fabric dining chair is a great looking luxury dining chair in a timeless classic roll top design design. The dining chair is made using thick and durable velvet and damask floral design material that looks great in a traditional or contemporary setting.